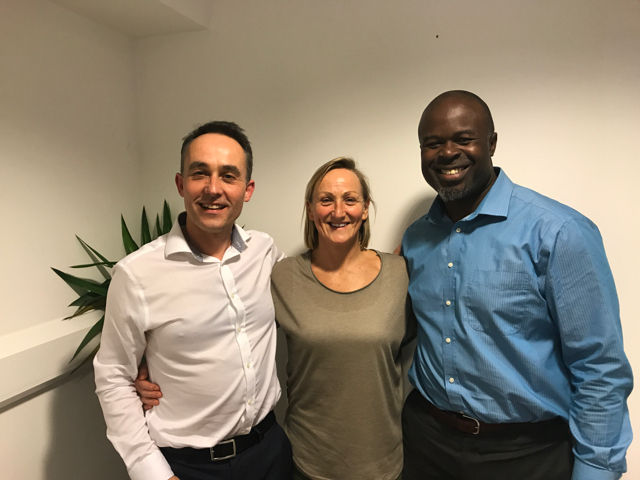 I recently had the pleasure to interview Greg Phillip the very inspiring CEO of the Nevis Tourism Authority with Jane Hansom of Sponge Marketing. Jane is responsible in the UK for Nevis public relations and as the world iron man champion in 2016 – incredibly inspirational too! They are also smart as their work involves the most beautiful island in the Caribbean. Very smart! 1. BE YOURSELF – how much more authentic can you be when you are simply being yourself? Now we were talking about a beautiful Caribbean Island and the desire to keep it unspoiled by commercialism so it remains a tranquil and beautiful place to stay for generations to come. However, in life we can allow ourselves to try and be something that we are not. So why not be congruent by simply being ourselves. 2. STAND OUT IN A POSITIVE WAY – so keep things positive. Be the best version of yourself. Stand out for the right things. After all our legacy is that people remember us for the right reasons. Not that we leave a wake of mess behind us. 3. BE HISTORICALLY AWARE – Where are the true gems in your history that could help you move forward today? Nevis was the birthplace and childhood home of one of the founding fathers of the United States – Alexander Hamilton. Also, the place Horatia Nelson was stationed as a young sea captain and met his bride. What are the gems in your own family and life history that could serve you well now if you uncovered them? 4. GROW – It is best to grow in the areas you are good at. Visitors to Nevis say it is the most romantic island in the world, it is wonderful for nature lovers, for health and wellness, for fresh food produce and diving. There are some clues here as to where to focus growth. Those areas where Nevis is genuinely really good at. So what areas are you really good at that you can grow yourself or your business in? 5. BELIEVE IN WHAT YOU ARE DOING – there is nothing more engaging than people who really believe in what they are doing. This really came across in this interview with Greg and Jane. They literally love their work and completely authentically believe in Nevis. Jane is even currently buying a home on Nevis.